NEW BEGINNINGS-IT TAKES COURAGE TO CHANGE ©: WHAT ARE YOU WAITING FOR--CHRISTMAS? "and His name Shall be called... EMMANUEL!" Greetings to you my friends in the name of Jesus. I have some things, many things to ask you and to tell you. Lord Have Mercy and Holy Spirit help me do what the Lord God Himself has directed me to say to the people! Thank You Jesus, Thank You Holy Ghost Thank YOU God! For those of you already strong in the Lord and that have a relationship with Him, this is encouragement for your spirit and reminders of what you already know. Give yourself a break and come let us Praise The Greatness of God our Father. For those of you that are not sure, not convinced and/or converted, this is some food for your spirit to eat on and be nourished by. Some encouragement for you and some reading and studying of His Word that will help you to grow and mature in your spiritual walk with Jesus. Amen. I wanna know, Who will stand when He comes back? Who? You got to stand up—Stand Up for Our Lord! Put the 2 together and you have His Hand holding on to your life all the time! You will have the full anointing that He has placed on you and in you working at full power!! Thank You Jesus-for I know that YOU, my redeemer lives! Today is here RIGHT NOW! Make up your mind Today. So many of us will not make it to Christmas. What are you waiting for-why have so many not started right now--this morning to start offering their hearts to be corrected, to ask for forgiveness and to recieve it. To be tilled and re-seeded with good seeds and to have the seeds of weeds and destruction pulled out of them. There is always a planting Season from God. Amen. We need to thank Him right now for His unconditionaLove! Thank You Father. Burned off. That is what a farmer does to his fields every so often. He sets them on fire to rejuvenate the soil, to kill off what will harm the crop—the harvest of plenty! The burning does a few things at one time. Bring forth nutrients that the soil needs. Fire Kills off vermin, rodents and weeds. Kills them off from their rootball. Provide just the right amount of Everything in order to grow forth all the opportunities that God will sow and has sown within each of us. God wants to burn your dross off in the refiner’s fire-but many of you are waiting for Christmas before you start to speak to Him. So many are waiting for those few weeks in December before they think about Jesus and God and the Holy Spirit. With every advancement to a higher Glory, we have to go through another refining fire. Things must be burned off in order to walk into the new land of blessings and work. Let me ask you this, do you think God can me mocked? Gal. 6:7 Do you think that you can ignore Him and His ways all year and then all of a sudden put up some shiny decorations, some trees, go shopping spending money you do not have and will not have then, fussing the whole way because you have to make the time to think about someone other than yourself? Do you think God is pleased when people go about His days complaining about having to do something to honor Him and celebrate Him and His gifts given freely to us? Treating people with impatiance, anger, selfishness, me, me, me--I, I, I? Is this what some of you think pleases God? Lord Teach us what to learn and how to use everything that you teach us. Thank You in Jesus' name. Amen. Some people really think all they have to do is put up decorations, sing some pretty songs only at Christmas and whine about having to buy gifts for people in the name of Jesus? God wants to know Who Will Stand up for Jesus? Who will abide? Who will be able to stand when the day arrives and He returns? He wants all of us to know, that He is not pleased by many hearts, by the motives of many of the people that say He has called them by His name and instructs them. He wants you to think about your motives, and why do you think He is impressed by your calling on Him and offering Him empty shallow praise and worship once or twice a year and think that is all that is required of us? If my daughter only called on me for help once or twice a year or only offered thanks to me when I do for her do you think I’ll keep doing for her? NO,. I would not. i need to talk with her everyday. He wants to hear from us every day! EVERY-DAY! Shallow praises at any time does not please God nor does it impress Him. 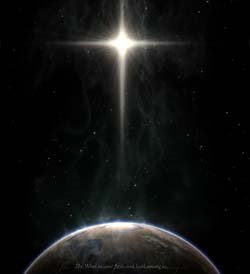 The Miracle Season of the Birth of Jesus Christ is not cut on and off because mans season is passed or not yet upon us. The Spirit and Power from His birth is to be used and honored all day every day. Again, think about it, what are you waiting for? Why have you not started to call on the name of Jesus daily? Why have you not begun to obey Him completely and fully each day? When are you going to start trusting Him and exercising your faith in Him in order to grow? That is why many of you have not received your answers yet, that is why many of you are still talking about your problems and situations that you have been walking around with for years. That is why you keep talking about what you are doing, I’m waiting on God, but then you kill time by speaking against Him and what He needs to do to help you. Stop talking about killing time. Use it to learn from while you are waiting. Praise Him and speak life to your life from your mouth. Stop telling everybody your problems—when you do that you water the weeds and thrill the devil! Jesus is the Redeemer of Everything! Time included. So if you jacked up some opportunities that God brought your way, ask forgiveness of those bad choices and ask God to redeem it all and give you another chance to get it right. That is all you have to do. OH, and make sure this time that you listen to all the directions and then when He says to do--DO it at the time He tells you to do it! Don’t you know that God has spent time watching us, listening to us, all the good we do- all the bad we do, all the mistakes that we have created all by ourselves? God is waiting for you to call upon His name for hlep whether you got yourself in the messes or if someone else got you involved in some messes and mazes. Don’t you know that people are blaming God for their stupid mistakes and shallow human wisdom? God is here to help us. He has given us Sisiter Wisdom (Pro. 4-9) to help us each day with each and every thing. We are human, we will act like humans, some of it is good, a lot of it is not good. That is why we need His help and the help of every thing He has created to be a support for us. Along with all the ways God has provided, His forgiveness is a healing grace. Use it! Yes, there will be times when things are difficult. But you can’t build a new building on the rubble of the old one that has been torn down. You have to allow Him to break down the temporary buildings and the shanty houses that you have built—and that others have built for you to live in. Then they use the machines to move the rubble and debris out of the way. He has to make the land level and add balance to it; He has to build on a good foundation. God is not going to build anything for you or anyone else on a bad jacked up foundation! Not the God I am speaking about. Not the God who speaks through me. Amen. That is the part when people start to run. Some of these runners should have never been allowed to be with you this long anyway—others are the ones that God is calling by His name. They are scared. They think it will cost them too much to hand their lives over to God. They would rather keep their stuff and lose their lives. God will also have to evict some tenants that you allowed to move into your life and have not paid a dime of RENT to you! They are like vermin, eating away at the structure that you call home. Tearing your heart and soul apart as you allow them to do so! God wants to know- WHAT ARE YOU WAITING FOR, Christmas? All need to go to Him and offer praise and thanksgiving right now for His goodness never fails. The fact that He loves all of you so much to have me sending out this warning and invitation means He is still working on your life and is not finished with you yet. He has His messengers placed all over the world doing the same thing--talking to the people He has called by His name. The Power of the Birth of Jesus is to be soaked up, called upon, and used to its fullest daily all year! Not just to impress others and to make yourself feel good for a little while. It is to be blessed and shared with others daily. God is not to be mocked. You cannot fool God by decorating your house, singing songs about Him and Baby Jesus, and the faith that Mother Mary had and used to Honor the Will of God and think that you have done God some great favor? Those shallow actions do not help your life not one bit. In fact it moves you further and further from the Grace of God. 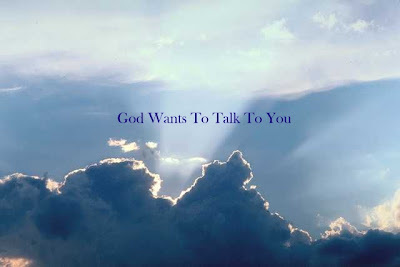 It tells God that you are not interested in a Relationship with Him Through Christ Jesus. It tells God that you are more interested in the religion of man more than a relationship with Him. I am here to tell you to examine your ways, your motives, and your hearts. To seek time at the altar of God in Jesus’ name and stand to be corrected and set on the right path. Or back on it, as the case may be for many of you reading this. Too many people are taking the new beginnings that God has created for them and pushing Him out of the way in order to add their own endings to the opportunities. That is a sure way to trouble, destruction and death for your life. We are to enter into His Beautiful Gates WITH Joy, Thanksgiving, with a triumphant Spirit and disposition—not dragging ourselves in with bags worry, doubt, and shallowness and complaining. That will not get you into His presence. We all have joy, love, and some triumph somewhere in us--find it and use it to seek His face and stand in His presence. Lord help us all. I would think that those of you that are waiting for Christmas to get here so that you can Start to praise and thank God for Jesus- are also waiting for Thanksgiving to come upon us in order that you will then and only then begin to show gratitude and thanksgiving for all He Has Done for you and how you can do for others.Instead of doing these things daily at all times. And including others in – not doing it just for you. Job 4:8 “Even as I have seen, those who plow iniquity and sow trouble reap the same”. 2 Corinthians 12:9-10 "But he said to me, "My grace is sufficient for you, for my power is made perfect in weakness. Therefore I will boast all the more gladly about my weaknesses, so that Christ's power may rest on me. That is why, for Christ's sake, I delight in weaknesses, in insults, in hardships, in persecutions, in difficulties. For when I am weak, then I am strong." DAILY GRATITUDE WILL CHANGE YOUR ATITUDE! Those that run from God, from Jesus, from the refiners’ fire are running from their blessings! Who will abide on the day of His coming? I ask you this. Now, here are some ways to learn how to praise God in the name of Jesus on a daily basis. We are to go to God on the behalf of others and praise God for loving them and healing them. We are to love them as God loves us. Unconditionally! There is an altar in each of our hearts and no one or nothing, can sit there-can occupy that space at God’s altar but God. That is His place for praise and thanksgiving within each of us. And when you allow people and things to sit there, when you say I can’t live without her or him or my car or my house or my hair, my clothes, my job…..God will evict what has squatted in His House! It is in His way. We are to have a relationship with God in the name of Jesus; spending time with Him is larger than going to church and sitting on different visible committees! I am speaking about spiritual sacrifices to God – not to people. I am not here to entertain anyone and that is not the reason we are to be gathered in His name. This is about being teachable and learning to rely on Him. He will put a stop to all of that. It is already happening. Open your eyes and look good at what is going on. The building of all these human altars for human gain has been stopped. Things are falling apart and being destroyed by the hand and will of God. The way people are treating each other, the way people are treating the earth—He is not pleased with all of this. He has put an end to it. But for those that are called by His name, His Spiritual Priests, He is using us to help all His children get to the hiding places within His love. He is trying to save all that want to be saved, but you have to do it the best way—His way is best as He already knows everything about each of us. Don’t you want to know God as well as He knows you? Praise is a way to instruct us ‘How To.’ Praise is always visible and verbal. You can worship God quietly—but we are to praise Him with hands held high, voices full of His glory and lives that honor Him. Sing praises with hands lifted up – no matter what your situation is. It’s personal, we each can come together and praise Him-but you have to learn to praise God for yourself. Each of us has a unique praise and no one can praise God for me. I have to do that for myself. Just like each of you—to use what He has put into us to honor Him and praise Him—Now, that pleases God, that brings Him glory—Not a bunch of decorations and gifts that you cannot afford once a year. What God has for you – is for you. You can’t praise God by copying what you see others doing. That is counterfeit. It’s like forging my name on a check made out to me--but you are not me. And I am not you. God will not give me what is for you and He will not give you what is for me. Satan tricks people with their eyes and flesh. Their pride and ego listen to his lies about God. And people see what God is doing for another that has been obedient and has praised their way through and offered the correct sacrifices as told too and they get jealous and want what they see. Satan also rewards his minions with stuff. People also have the means to obtain much stuff without the help of God. We have been given these ways by God. The problem is that people are not turning around and thanking God for what He has done for them. Many are saying they have done so on their own, by their own thinking, their own plans and power. No true. They are fools that think this way. They will fall in their own messes. The beauty that God gives me will not vanish! The beauty that God gives each of you will not vanish. Someone that does not understand our God cannot help us along our way. I do not have all the answers, but I run to the one that does! God’s Holy Spirit will teach us all if only you make yourself willing to be taught. Do not be like the people in Haggai 1 and 2. Who received the message—and still waited through 18 years and had to be brought to correction again by God when they had not built the Temple – the House of God that He instructed them to build through His prophet Cyrus. So here He sends another of His Prophets, Haggai to say the same message once again. Go read that and gain the Wisdom of God from His Word that feeds our spirit. Our enemy will always try, but God has given us ways out of temptation. Learn them! You will need them to live abundantly, not just surviving. The saints of God do not just survive, They are to live to the fullest of His abundance with joy, thanksgiving, compassion, humbled each day—no matter what. Will it get difficult at times? YES, it will. Can we do this? YES, we are able through Jesus all things are possible. You cannot receive God’s blessings until you are a blessing! Amen. Ask yourself are you going to abide--will you be able to stand? Are you about shallow self glorifying religious rituals or about making sure that you have a relationship with God and that it is growing and producing fruit? If we are going to be traditional then let us do it God’s way for HIS glory, not by mans way for self glory. Amen. The Spirit and Power of The birth of Jesus is not for a Season for 2 weeks—but for EVERY DAY—EVERYDAY! Always, In the Love of God I leave you for now. Amen. May we continue to be a blessing to one another in all times in the name of Jesus, Amen.